Was the Rover 620ti the world’s best never-advertised quick saloon? 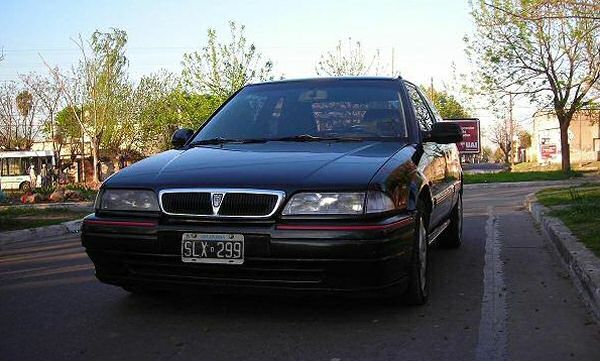 THE Rover 600 Series was a competent enough range based largely on the awkward looking Honda Accord. Though the 600 Series was saved by its graceful ‘Roverised’ styling, which gave the 600 an air of class about it which left the Honda looking seriously, well, outclassed, despite it being virtually the same car – there were issues of blandness when it came to driving the standard Honda-powered fare. Yes, if there was one thing the 600 was lacking, it was excitement. Rover had already launched 2-litre turbocharged versions of its 200, 400 and 800 Series, and so it was inevitable that the 600 Series would get the same workout. However, getting Honda’s agreement on a VHPD version of the 600-Series wasn’t the work of a moment, and it wasn’t until July 1994 that the unusually monikered 620ti arrived – a whole year after the rest of the range made its debut. Aside from the great picture, this advert talks about the T-Series engine’s impressive power and torque curves and that the engine holds 37 land speed records – though it doesn’t say they were broken using a 220 Turbo Coupe. And, like any good car advert, it quotes the motoring press, “…the 620ti is downright beautiful to look at”, which, actually, came from Autocar’s Steve Cropley. No one would disagree with that. 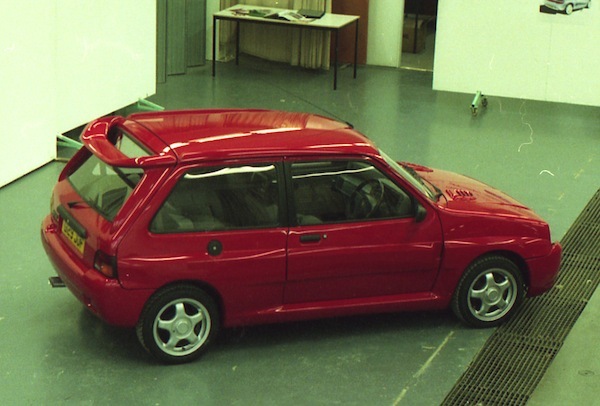 The only external give away to the ti’s potential were the beautiful 16-inch alloys, but everything else externally was standard 600; it was Clark Kent car on wheels, waiting for it’s shirt to be torn open by a blip of the throttle for its transformation into Superman. Few people realise that the 600 Series was available with a 200PS engine, but they usually find out at a traffic light grand prix! 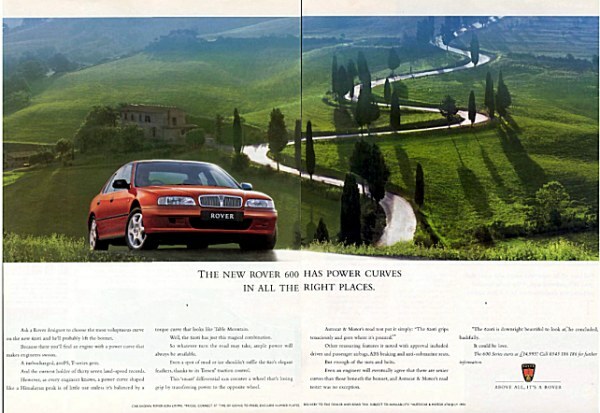 This was partly thanks to the fact that advertising for high performance Rover cars was shortlived after BMW had taken the reigns at Rover in 1994; and by 1995 individual marketing support for Rover’s performance models, including the 220 Turbo Coupe and 820 Vitesse, were dropped. Someone must know what really happened at marketing during that time? For some reason Rover didn’t put that in the advert, but it sums it up perfectly.